i'm in highschool and I really want to become a doctor it's just that i'm scared that i will not continue through to medical school. I really want to know what are the things I should really concentrate on in high school that will help me for college and university? 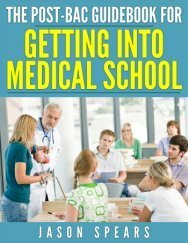 Even if you are thinking about medical school your focus should remain on doing everything to get into college as though you are not premed. 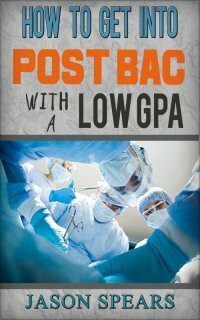 If you work hard and can get into a great college you can then take the steps once in college to prepare yourself for medical school. It is always best to take things one step at a time and for high school students getting into college regardless of your future career goals should be your top priority. Standardized tests. You must do well on the SAT/ACT for admission to college. I would make this your main focus as a high school student. Obviously, you will want to get good grades in your high school classes too. If Advanced Placement (AP) courses are offered and you can handle the courseload you can take these classes too but it is not absolutely necessary, although it will give you a leg up amongst the competition are the tougher schools to get into. Extracurricular Activities. You will want to show involvement outside of the classroom. This can be in: sports, clubs, religious groups, volunteering, working, etc. Simply find what you love to do and be involved in it at a high level. Being consistent and showing indepth involvement in a few activities is much better than trying to do as many extracurricular activities as possible all because you think it will help you get into college. If you do all of these things well making it to college should become your reality. And only once you're in college would I advise you to think about what you need to do for a career in medicine. Because at your age things may change and you may ultimately decide medicine isn't for you and you want to pursue something else which is totally fine. Lastly, have fun and enjoy the process. High school only comes around once so make the most of it. Be sure to spend as much time with family and friends after graduation because life is amazing and truly does change. Some of the folks you knew as best friends in high school will separate and go their separate ways which is just how things work.